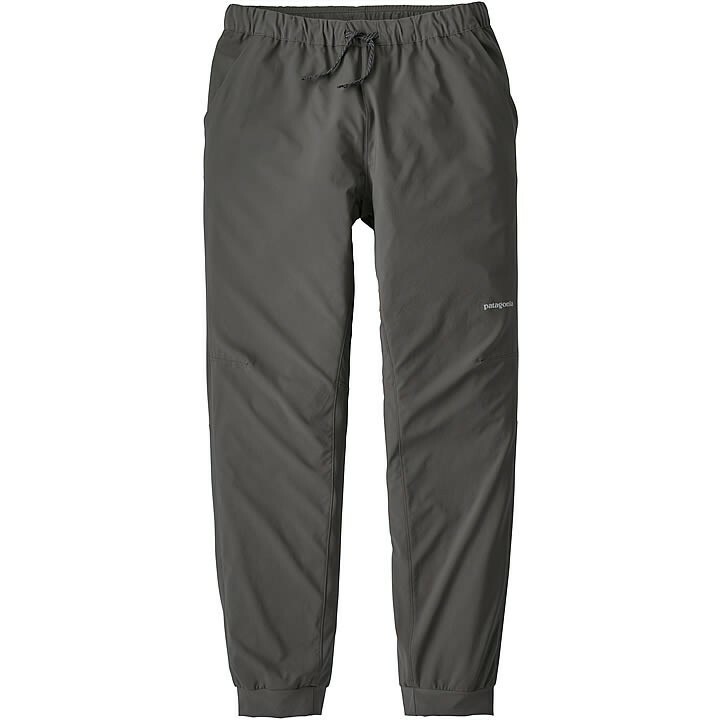 Add a pair of lightweight performance pants to your trail kit with the Terrebonne Joggers. Breathable and quick drying with a comfortable waistband and cuffs, they're perfect for the trail, bouldering and yoga. The supple, quick-drying, and high-performing men's Patagonia Terrebonne Jogger bottoms are made from 100% recycled polyester stretch ripstop fabric that's so light and compressible the pants can pack down to the size of the back pocket. They have a casual yet slim, jogger fit with a stretch-knit waistband and cuffs, articulated knees for unrestricted movement, a drawcord adjusts the waist, and pocketing includes two front drop-ins and one zippered on the back-right. With a reflective logo and DWR (durable water repellent) finish.